Creatio is hosting an online and offline showcase of all members to commemorate the year at the World General Assembly 2017. Creatio is showcasing artworks from 2016 to 2017 how God has been leading Creatio members throughout the year. Through this show, Creatio wants to give vision and momentum to mission through Art & Design for the coming year. The exhibition is composed of works from Creatio members, OSAD students and faculty. The categories are: Church Support; Fellowship & Parachurch Support; Business ministry; Personal Creative works. 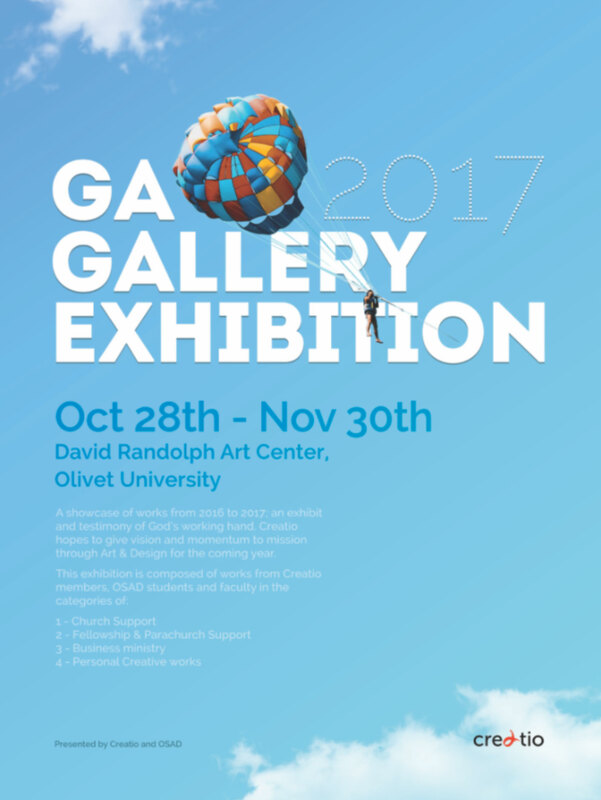 The exhibition is co-hosted by Creatio and OSAD at David Randolph Art Center, Olivet University on Oct 28th – Nov 30th.